Versatility Professional Tool Storage, LLC, Alsip, IL, introduces a new line of modular storage cabinets designed to support lean and 5S initiatives. Choose from several preconfigured models, or create your own custom storage unit. Configuring a custom unit, the user selects the cabinet shell size, drawer type, base, top and color. Divider systems include user-configurable compartments for hardware or components, hard foam for tools and equipment, and trays for organizing inserts and cutting tools. 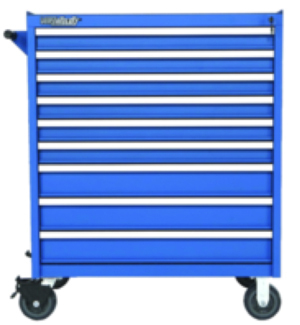 Heavy-duty construction allows for drawer loads to 200 or 400 lb.